A graceful, alert, swift-moving little dog with saucy expression. Compact and with terrier-like qualities. Saucy, superior intelligence, generally reserved towards strangers. There are 2 coat varieties: In the smooth, the coat should be soft in texture, close and glossy. Coat placed well over body with ruff on neck, and more scanty on head and ears. In the Long Coats the coat should be of a soft texture, either flat or slightly wavy, with undercoat preferred. Ears fringed (heavily fringed ears may be tipped slightly, never down). Feathering on feet and legs, and pants on hindlegs. Large ruff on neck desired and preferred. Tail full and long. Colour: A solid colour. Marked-a solid colour with markings of another solid colour(s). Splashed-irregular, patched solid colour on white or white on solid colour. Their small size and low shedding make them ideal for small living spaces. They are aloof and often snappy with strangers but their loyalty to their owners is unbreakable. 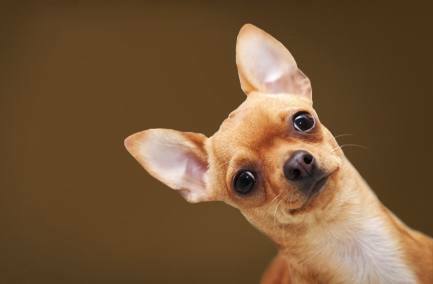 Chihuahuas often have overshot or undershot bites, making them prone to dental disease. They need the warmth of indoors and will snuggle into your body any chance they get.